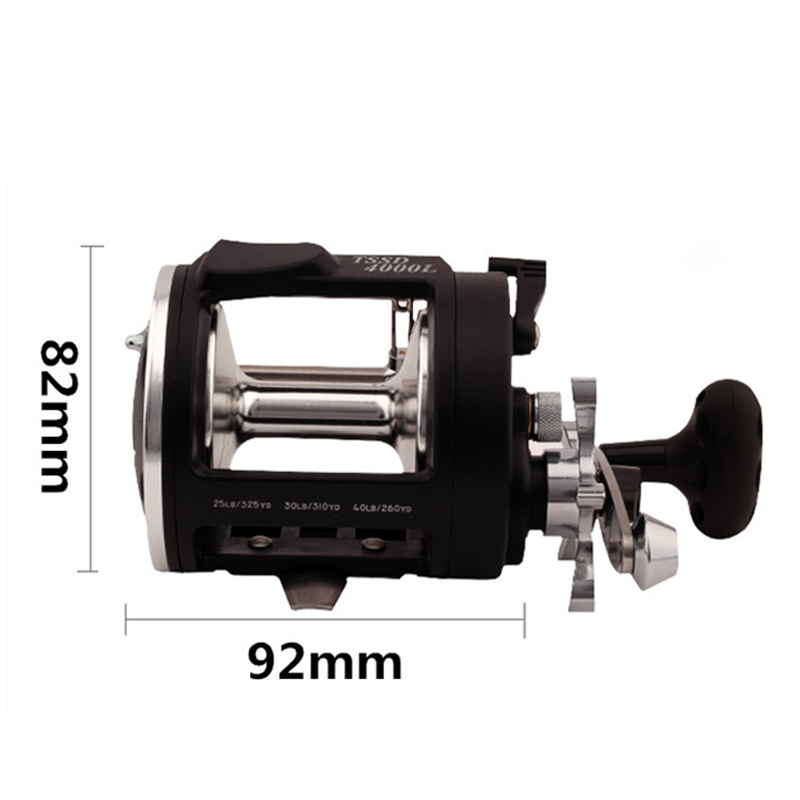 Successfully Added Spinning Reel Spool Drum Fishing Wheel TSSD 4000 1BB with Alarm Function for Freshwater Saltwater Fishing Right Hand to your Shopping Cart. High strength metal base material,perfect combined with the shaft,strong and durable. 3+1 ball bearing, one-way clutch bearing, gear ratio 3.8:1. Special alarm bell to catch the fishing information in time,with a strength adjustment button which can adjust the strength for fishing. Soft rubber handle,well connect with the shaft,makes the wheel more strong,guarantees the ability of hauling line. Automatically metal wire with trolling wheel design,neat,no winding.Perfect tool for sea fishing. High-tensile gear with five star drag system, precision and low noise. Excellent line lay oscillation system. Balanced handle with ON/OFF bait clicker. The precision machined body main and pinion gears to improve strength, smoothness and extra long life. Rubber handle knob, comfortable feeling.